According to the U.S., entering the crypto space would let Iran dodge sanctions. U.S. regulators are taking a stronger stance against Iran’s plans to develop its own sovereign cryptocurrency. 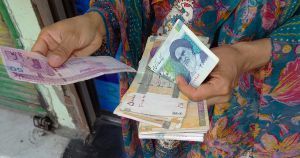 Congress introduced a bill on December 17 called the “Blocking Iran Illicit Finance Act” that threatens Iran with more sanctions in response to activity that could see Iran develop its own national cryptocurrency. The U.S. is worried that the development of such a cryptocurrency could allow Iran to launder money, thereby dodging U.S. sanctions. A corresponding bill sponsored by Ted Cruz (R-TX) calls for additional sanctions against anybody who could be aiding Iran to develop such a digital currency, including sanctions against any foreign person that might facilitate transactions for the “sale, supply, or transfer” of such a currency. And tensions between the U.S. and Iran are already high after the Trump administration decided to withdraw from the Joint Comprehensive Plan of Action (JCPOA) in May 2018. Under the accord, Iran agreed to limit any nuclear activity, and allow international actors to inspect any nuclear plants in the country. In return, economic sanctions would be lifted. And Iran has been busy laying the groundwork for an official national digital currency. The country has been in the news recently, promising that blockchain technology could give Iran a much-needed economic boost, Coindesk reports. Officials announced in July that Iran was planning to issue its own national cryptocurrency. Months later, Iran agreed to officially recognize crypto mining as an industry in the government. There’s a precedent for a country developing its own sovereign cryptocurrency — without the best of intentions. Venezuela’s highly controversial “petro” — an oil- and state-backed cryptocurrency pushed by president Nicolas Maduro — is meant to give the South American nation a way out of crippling hyperinflation. So far, the people of Venezuela have yet to see any tangible benefits from the petro. In fact, the Trump administration has also expanded sanctions in March against Venezuela to include any trade of the petro. Will Iran comply with Congress’ demands — if the bill passes — and cease any activity related to the issuing of a digital currency? Unlikely. But it could have a negative effect on already poor relations between the two countries.